Father’s Day is coming up and a lot of magazines are putting out lists of great Father’s Day gift ideas. But did you know that you can take those lists and use them to come up with Amazon FBA product ideas, too? In fact, using magazines and high end stores is one of my favorite ideation methods for Amazon FBA product ideas. FREE: Get a list of 1,038 profitable product ideas, already vetted by Jungle Scout’s Amazon selling experts! Recently, my wife showed me a list of gift ideas from Real Simple for Father’s Day. And there were a couple things that really surprised me. All the products looked pretty easy to source on Alibaba. In fact, one hot product I could source for as low as $1.00 per unit landed! Most of the average sales prices on Amazon are right in that Amazon FBA sweet spot: $18-40. One cool product actually has an average sales price of $50+. Some really cool packaging and logo design on these, too, to help you get your creative juices flowing when it comes to package design. Most of this stuff is evergreen, too. That means it sells year ’round. As an experienced Amazon seller (going on 3 years now! ), I’m constantly on the lookout for product ideas. So a list like this was a dream come true. But it was too good not to share. That’s why I wrote this article. First, I checked out the Real Simple article titled Inexpensive Father’s Day Gift Ideas. Next, I plugged in each of the product ideas into Amazon. Then, I pulled up the Jungle Scout Chrome Extension Pro to see how well each of these Amazon FBA product ideas were selling on Amazon. When coming up with the metrics, I made sure to remove outliers. These were products that had over 100 reviews. I recommend you do the same, too, when using the Chrome Extension. Often times, a single, popular product by a big brand name can skew a product and make it seem better than it is. Finally, I wrote this article, explaining why I thought certain items were good or bad, and what a seller could expect from what I discovered. What’s cool is that there were some genuine surprises in the mix. I found not one, but two products that really grabbed my attention. Also, I found a couple Amazon FBA product ideas that probably wouldn’t work at all. But they’re great for this article, actually, because I can show you what sort of products you should avoid. FREE: Want to know what the best selling products on Amazon are? How about the top 10,000 best selling products on Amazon? Grab the list! If you want to see the original article for yourself, check it out here on Real Simple’s official website. And by the way, it’s a pretty excellent source for coming up with Amazon FBA product ideas in general. World Market’s barbecue tool set offers six pieces to help him prepare your next family feast. Your culinary-inclined pop will love his popping his stainless steel and wood products in an easy-to-carry canvas case. With this set, your dad will be firing up the grill with your favorite meats and veggies in no time. Opportunity 6 product (low demand/low competition), not bad. Average monthly sales aren’t so hot and seem to be mostly skewed by the big players here, like Cuisinart. If I remove the outliers (any products that have more than 100 reviews), I’ve got an average of 124 sales per month at a price point of $36.25. Furthermore, that’s with an average of only 12 reviews, each, too. This last part I really like! If I go for this product, I’ll want to make sure I can source it right and get a low enough minimum order quantity (MOQ) on Alibaba to warrant an order. I’d shoot for a price point around $6-$8 and a MOQ of about 300-400 units. If I can get actual cost of sales (the percentage of the sales price per unit spent on ads) around 25%, I’d be looking at $7.75 in net profit on this product, or roughly 21% margin. Not too shabby! That means, I’ll have the potential of earning $53,940 in annual revenue with about $11,532 of that being profit. The Cold Spring Apothecary pomade instantly softens hair and keeps his style in place. The batches are made from natural oils and beeswax, and the ingredients give it a smell that’s a delicious combination of woods and sweet citrus. With this set, dad may just have his best hair days yet. Opportunity 7 product (high demand/medium competition). Awesome! And with the outliers gone, the opportunity score actually jumps up to an 8 (medium demand/low competition). Some big outliers, but even when I removed the items with less than 100 reviews, we’re looking at 550 units in monthly sales with an average of 38 reviews. Wowza! Average price is kinda low with the outliers gone at $16.76. Furthermore, that’s with an average of 12 reviews, each, too. This last part I really like! The biggest things to note with this one is that this is a product that’s going to need some certification to get on Amazon as it’s in the Beauty & Personal Care category. So I need to arm myself with that knowledge going in. The price is kinda low, but after doing a cursory look over Alibaba they look pretty inexpensive. Plus, they’ll be light and low volume so they’ll ship for cheap, too. At a price point of $18, here’s what to expect in the way of profits. Ideally, I will want to keep landed cost around $2.00 per unit. ACoS would be pretty comfortable at 20% of the sales price (tough, but possible according to Keyword Scout). So, that means I’m looking at $6.70 per unit in profit. Considering the cost of goods is only $2, that’s an ROI of 235%! Wowzas! That means, I’ll have the potential of earning $118,800 in annual revenue with about $44,220 of that being profit. Related: Interested in selling products that are in restricted categories on Amazon? This guide shows you how! Etsy’s customizable options provide the ultimate gift for dad on his big day. He’ll love this vintage engraved spoon to enjoy ice cream and quality time with his little ones. The reference to “shoveling” in that delicious dessert makes it a gift that will cater to both his stomach and funny bone. Opportunity 8 product (high demand/medium competition). I’m only four items into this Amazon FBA product ideas list and I’ve already found two opportunity 8 products. Removing the 100+ review outliers again, we’ve got 397 average monthly sales and only 26 reviews. The price is loooow. Watch out for that. However, do note that the one that our friends at Real Simple advertised was priced at $18, so don’t be afraid to go big. Another one with a low, low price, however, the average sales and low reviews make it super attractive. Plus, this is a product that probably gets ordered in bulk, so it really welcomes itself to multi-unit discount promotions. My only other trepidation would be that this is a very seasonal item since ice cream ain’t so hot (no pun intended) in the winter. So careful of that. Quick thought. Imagine instead of putting “Dad’s Ice Cream Shovel” having yours say “Congratulations!” or “Happy Birthday!” Cha-ching! I did a quick check at Alibaba, and I’m guessing I can probably get a ton of these on the super low, possibly even a landed cost of $1 each. Hubba hubba! With 20% ad margins and a $18 price, I’d be looking $7.70 in profit. With a price of $1 each, that’s a ROI of 670. Yowzas in trousas! That means, I’ll have the potential of earning $87,752 in annual revenue with about $31,919 of that being profit. Support his practice with the Manduka cork yoga block. It’s made from sustainable, renewable cork, so your dad with flow in eco-friendly bliss. The green product is also slip-resistant and supportive, allowing your favorite guy to perform his best poses yet. Opportunity 4! Yuck! It gets a little better when you take out outliers, but not much better. Low sales and high average reviews (45’ish each), even with the outliers gone. Meh. Average price is decent, though, at $23.88. These things aren’t small, so FBA fees are kinda high and landed shipping costs will probably also be high. I guess they couldn’t all be winners. This thing’s big, kind of pricey on Alibaba, has low sales, and higher-than-normal average reviews. Best to just skip this one! Skip it! There’s better products out there for you to source. He’ll shine even brighter during any big business meetings with this shoe care kit from East Dane. The set includes a buffing brush, polishing cloth, and a can of polish for the ultimate shoe shining system. 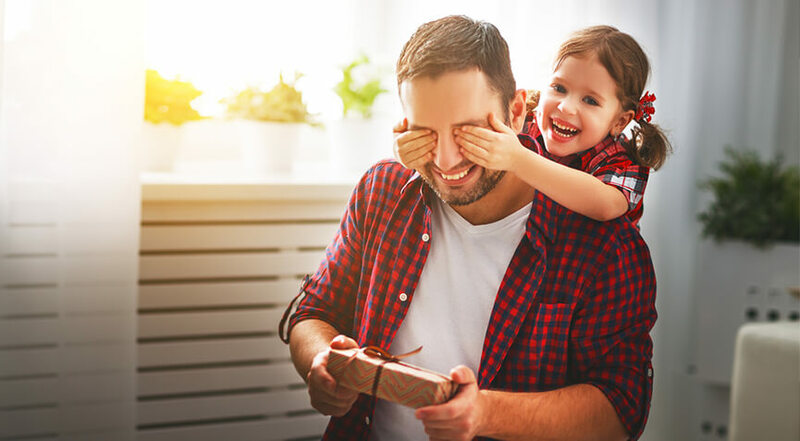 Gift wrapping is also available, so you’re just one click away from giving your shoe-loving dad the ideal Father’s Day present. Opportunity 7. Seems good, right? However, don’t let this one trick you. Taking out the products with 100+ reviews, it drops to 6 with only medium demand and low competition. 138 average sales with an average at 25 (minus outliers). Average price is kind of low, too, with only $16.45. Note that the one from Real Simple is a high end model. And a lot of what’s on the Amazon page are lower end, disposable versions. This is a good one to share because it’s tricky. It seems like a good product at first, right? But in all actuality, it’s kinda bleh. If I was dead set on doing something like this, then I’d try going for a high end version of it and charge above $30. My monthly sales will probably drop, so I’ll need some low MOQs, probably in the 150-200 range. Also know that these sets will be large, so air express will be tough. And sea freight typically runs $1000 minimum, which means an automatic +$10 per unit to my price. This is probably “fool’s gold.” Don’t let the initial 7 opportunity score fool you and always do plenty of research. Before you head out to the lake for a little friendly competition this Father’s Day, give him a little leg up (just this once!) with this useful fly wallet. The canvas and leather-lined compact set is water resistant and features shearling lining. Opportunity 5 even with outliers removed. Average sales stink on this one. Only 25 per month and possibly even less than that. Average price is attractive, though, with $31.62 per sale. Me likey! There’s a reason this product doesn’t have a lot of reviews for its outliers. Because they’re not making any sales! Low sales and low searches. Probably too niche for its own good. Avoid! Related: Learn all about the best and most accurate Amazon keyword research tool in the world, Keyword Scout. No home bar is complete without this smart accessory—it makes a slower-melting ice to cool down dad’s pour of whiskey without watering it down. As a bonus, the device created an interesting diagonal look that’s nothing short of eye-catching. It’s a great conversation starter and a thoughtful gift for any spirited dad. Opportunity 4! Even with 1,184 average monthly sales. Don’t let high sales trick you into getting a bad item. Competition, folks! It’s the real killer of first time Amazon sellers. Stripping this one of its outliers doesn’t help a whole lot. And a lot of the relevant entries actually go away. What’s left doesn’t have high sales at all (including the brand that Real Simple promoted). Judging by a majority of the products left over, there’s not a whole lot of sellers (or actual demand) for this sort of product. This is the kind of product search that can fool a lot of new aspiring Amazon sellers. Remember, sometimes when Amazon FBA product ideas seem good–high sales or even a high opportunity score–it could be all a clever deception. Research research research! He doesn’t have to leave the house for a high-quality shave. This kit offers pre-shave oil, shaving cream, after-shave balm, and a mini shaving brush. The products make up enough for one week of optimal shaving, protecting your dad from getting ingrown hairs, razor burn, or cuts. Opportunity 6 off the bat (high demand, medium competition), so not so hot. However, this one is sort of the reverse of the last couple of entries. Taking out the 100+ review outliers, it kicks up to a 7 opportunity score (medium demand, low competition). Average sales for the non-outliers is 319 per month. But here’s the best part… average price of $51.58! Woo hoo! Okay, yes, it’s attractive, but know this. There’s some challenges with this product I need to consider. It’s Beauty & Personal Care or Health & Household, so I’ll have some challenges getting it ungated in those restricted categories. And it’ll be large, so shipping costs will be higher. FBA fees are clocking in around $5, too. The other trouble I’ll run into is that in order to get those high sales averages, I’ll need to order 1,000 – 1,200 units to start. At $10-$12 per unit, that can get pretty costly! Therefore, I’d probably start off by doing a big Gleam to Kickstarter push on a product like this so I don’t break the bank. Of course, if you’re more experienced and have some extra cash to spend on new products, this could be a great one for you. If you can get this product on Alibaba with a landed cost of about $10-$12 per unit, it could be quite profitable. Selling it for $49.95 (with a nice bag and tools, mind you) and spending 25% ACoS on ads, could get you roughly $15.50 in net profit, so you’re doubling your costs. That means, I’ll have the potential of earning $191,208 in annual revenue with about $59,334 of that being profit. These Serenflipity cards provide nonstop entertainment for the entire family. Each card features a little dare or fun suggestions to push your loved ones outside of their comfort zones—together. One challenge? “Find a secret local restaurant and surrender yourself to the whim of the chef.” Happy exploring! Opportunity 7 to start (medium demand, low competition). It’s a 6 once outliers are removed, though. Lots of different sorts of products here, so keep that in mind. Plus, the Serenflippity example Real Simple used was proprietary, meaning it’s not easy to copy. Average sales for the non-outliers is 166 per month. That’s roughly what Serenflippity does. Average reviews are only 24, so that’s pretty good. Furthermore, Serenflippity, the game showing on Real Simple, has only 26 reviews itself. And the price point is good, too, at $19.85, although Serenflippity sells for $13. Personally, these are the types of Amazon FBA product ideas that I’m attracted to. If you’ve followed me for a while, you probably know that I’m a huge board game nerd. And I’ve sourced tons of board game stuff in the past. Here’s the thing that I really like about Serenflippity’s model. Even though it’s crazy cheap at $13, it only comes with 30 cards and a pack to carry them in. 30 cards and a pack landed will probably cost me less than $1.00. Plus, this is another good Gleam to Kickstarter item. Worst case scenario, 1,000 landed units will run me about $1,000. Personally, I’d up the number of cards to 60 (probably bringing my costs up to $2.00 each) and give it an “edgier vibe”, a la Cards Against Humanity. Then, I’d charge up to $19.95 for them. Doing this, and keeping ad costs around 20%, it’s possible to make about $8 per pack of cards for a big ol’ ROI of 300%. That means, I’ll have the potential of earning $39,740 in annual revenue with about $15,936 of that being profit. Ready to learn more about how you can find profitable products that could potentially earn as much as $50k in net profit each year? Check out the most accurate Amazon product research tool in the world, the Jungle Scout Chrome Extension Pro! Get the Jungle Scout Chrome Extension Pro, today! Great advice on the product research and explaining the profit! I have just one question, I see that a couple of them have AMAZON listed more than once as the main seller. What is your advice when trying to compete against AMZ? I know a lot of sellers usually try to avoid from competing with AMZ. Great question! I know it sounds daunting to compete with Amazon but we actually don’t see it as a reason not to launch a product. Amazon listings are often quite poorly maintained so there is a lot to be said for being able to create a much better listing as a third party seller. And so long as the product has no patents there is nothing to stop a private labeler from improving the product itself and leveraging that as a unique selling point. Ultimately it all comes down to good product research. Amazon being some of the main competition in itself is not something that should invalidate the product idea – but it’s all about ensuring the product has high demand and low enough competition overall, across all top sellers. You can read more about product research here. I’m a newbie. I’m about to sell something soon so please correct me if I’m wrong. Nowhere did I read a mention about FBA fees so doesn’t that skew the profits? Why would you remove the outliers from the J’s chrome extension? (100+ reviews) Aren’t they valid competition? Man! Seems like I need coaching before I start selling. I keep reading and discovering new ways to analyse the data… I don’t trust what I’m looking at anymore. Great questions. The FBA fees are included (sorry, I didn’t mention them when writing, but all of the products have the 15% referral fee removed plus the FBA fee which tends to be $5-$6. Outliers can make products seem better than they are. For example. if you have someone like Cuisinart selling in the same category and they’ve got 1,000+ reviews and thousands of monthly sales, they’re going to make the entire list look better (or worse). You want to narrow it down to the people, like you and I, who are selling their own products. It has a two fold effect: sometimes, it ups the opportunity score on a product. Other times it lowers it. It’s best to be armed with the best data you can. First, Amazon takes 15% off the sales price for the referral fee. Then, they take out the FBA fee which is calculated based on the product’s volume and weight. Usually, this is around $3.00 for stuff under one pound. A few products on this list are a little heavier/bigger. After those fees are removed, you subtract your cost of goods sold and then the advertising costs (ACoS is calculated on the sales price, too, so if ACoS is 20% on a $30 product, your add spend is $6). I was wondering if you can talk more about your experience with selling board games on Amazon and kickstarter. My husband and I are working on our board game we would like to kickstarter. Awesome that y’all are working on a board game. My recommendation would be to do the following. 1) Build up a following ahead of time using Gleam.io. Gleam helps you build social media following, email lists, and so forth, by offering a prize (typically a prototype of the game or something similar) in a contest format. That way when you go to launch on Kickstarter you’ve already got people following you. 2) You can advertise your gleam contest on Facebook and on Board Game Geek. Personally, I prefer BGG, since their ad costs are pretty reasonable. Plus, it’s a warm market for board games (obviously haha!) so your conversion rate on stuff like that tends to be better. 3) While building your lists, make sure to engage with your fans as often as possible to keep them interested. 4) When you go to make your KS page, make sure you make some dynamite copy with a cool video. I recommend finding a funded game that’s similar to yours in crowd and style and duplicate their copy and layout as best you can. Don’t plagerize, obviously, but if they succeeded with theirs, chances are whatever they did worked. 5) Once you’re live, make sure everyone knows on social media lists and email lists. Plus, be sure to still send traffic to your KS campaign via BGG ads, Facebook ads, etc. The one thing you’ll definitely need to consider is that Toys/Games need to have Children’s Product Certificate from a US examiner. That’s been locking up a few game sellers in recent years, but Amazon’s pretty serious about it these days, so be cognizant of that.